Scandinave Spa Keeps Me Sane | Kids in T.O. Nestled in the woods near Blue Mountain two hours north of Toronto is pure silence. Whispering, if necessary, is mandatory. And kids, nope, not allowed. Of course, my end of day weekday visit fell on the spa’s busiest time of year – February Break. The spa was at capacity, waitlist in effect and lots of guests waiting impatiently for their turn to relax. But once in, the only thing that felt crowded were the towel racks. So with snow on the ground, I wandered barefoot and in bathing suit through the hot-cold-relax circuit. It is meant to detoxify and cleanse the skin and relax and energize physically and mentally. 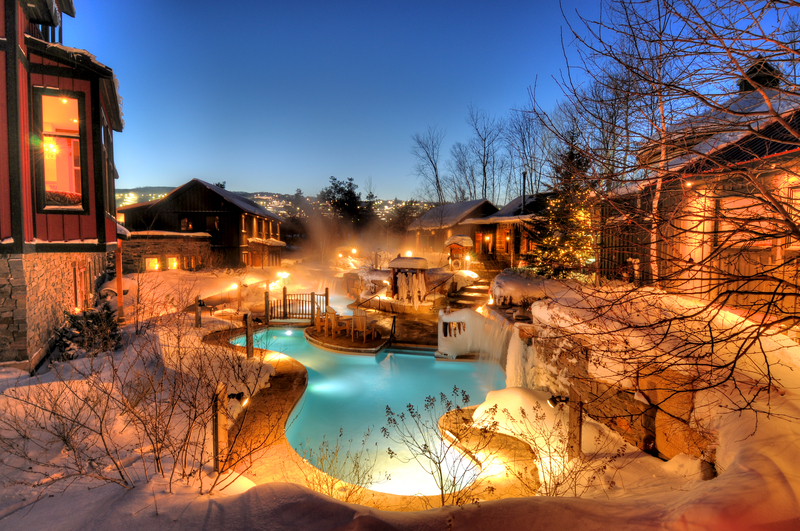 Getting there: Scandinave Spa is minutes from Collingwood and Blue Mountain Resort. Parking is free on-site. Check these directions. Low-down: Open daily (10 a.m. to 9 p.m.) year-round and in all weather. Access to the Baths are $55 ($45 during Unwind Wednesdays.) Typical visits are 2-4 hours. Co-ed and must be 19-and-over. Bathing suits required. Lockers, locks and towels included. Bring your own sandals and water bottles (water filling stations throughout the spa.) Leave phones and electronics at home or in your locker. For other details, check these FAQs. FYI: While it’s great for a girls getaway, it’s also very popular for couples, if the dad in TOw is into spa-ing.